This bracelet is 7.5 long. On each end are three rows of rhinestones, with six in each row. They measure 2/16 square. 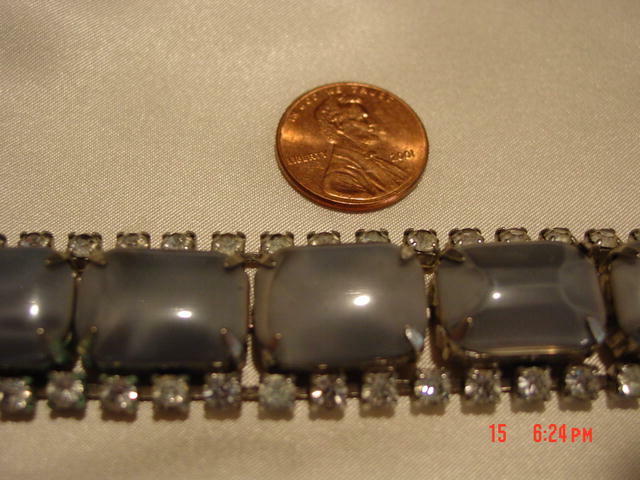 There are seven silver lucite moonglow beads 11/16 by 9/16. They are flanked on both sides by 24 rhinestones 2/16 square. All rhinestones look in good condition. 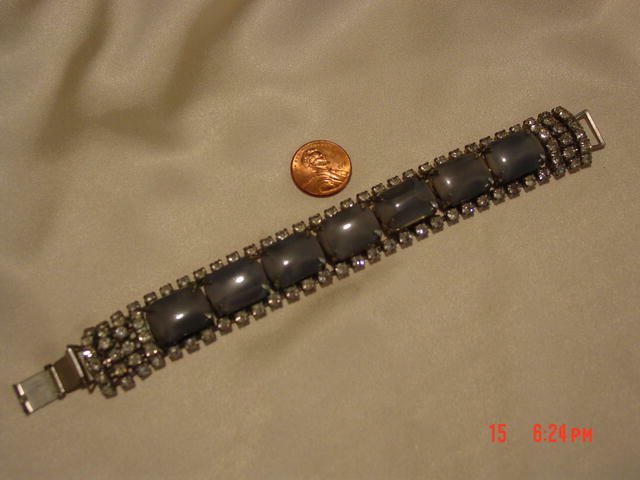 Items Similar To "Rhinestone Bracelet With Silver Lucite Moonglow Beads"